My guess is, bread clay has been around even before I was born. It's a clever way to put stale bread to good use, easy to make and the ingredients are all but household items; it is air-dried so you won't have to use electric energy to harden it. 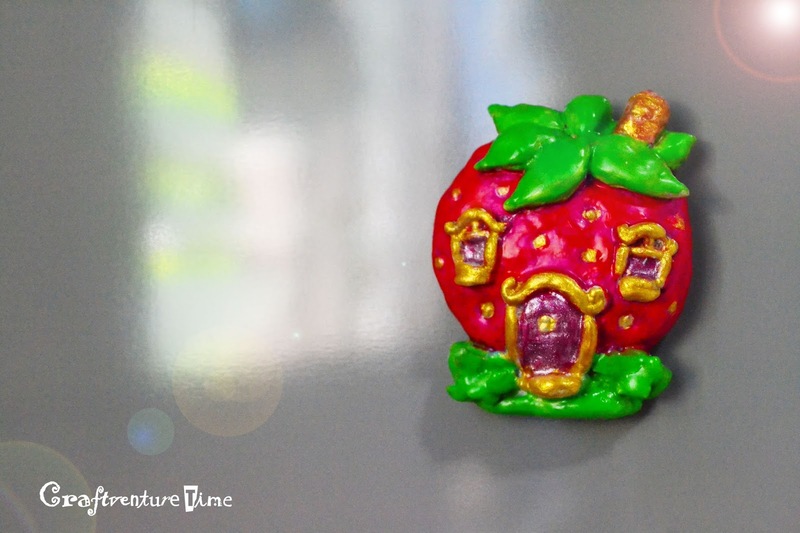 A Strawberry Shortcake House fridge magnet. Bread clay is formed by modelling, it is an additive process in sculpture by which the material is shaped and built up ( as opposed to carving which is a subtractive process; that is, parts of the material are removed to form the desired image). 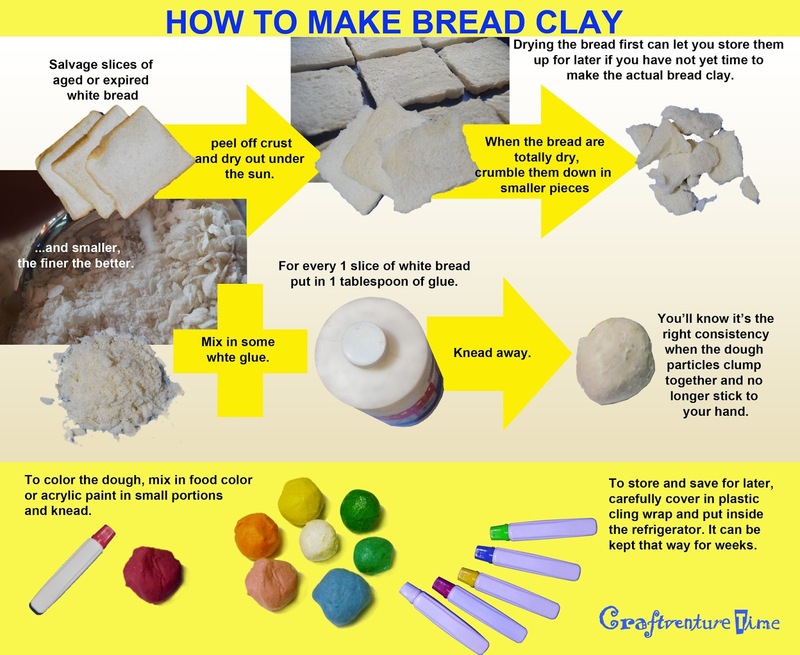 With bread clay, it is best to form each part separately to be assembled or glued together later. 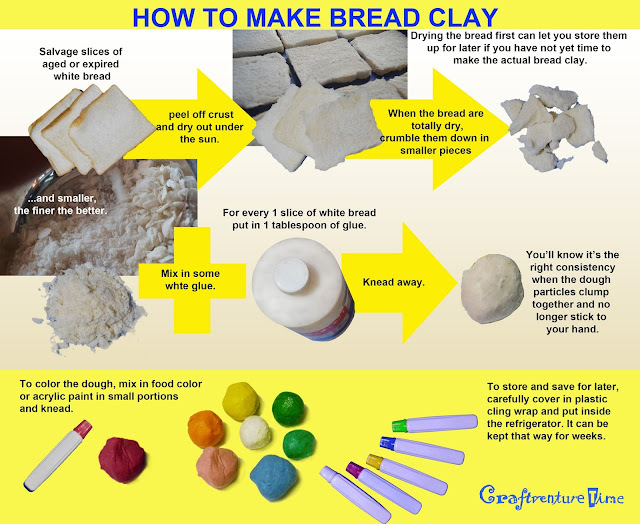 It is important to first stabilize the consistency of the bread clay before shaping by leaving it sealed overnight, preferably inside the refrigerator. Upon finishing the bread clay sculpture, it is highly recommended that it be sealed with clear varnish or nail polish to avoid or at least impede the development of molds; that is, after air drying it completely (about 24 hours depending on the size) as it shrinks without the moisture thereby making the layer of nail polish crack if applied before drying. 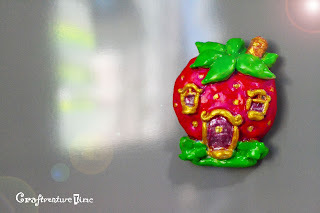 There are lots of crafty things to come up with bread clay~ fridge magnets, charms, key chains, lockets,beads, brooches,ornaments or tiny toys, as always the possibility is endless. Just paying it forward: everything I share on my blogs are my own (photos and illustrations); feel free to use them in your personal projects as I myself have been inspired countless times by the generous talented people of this whole virtual world we call the internet.